The USAID-funded Human Resources for Health in 2030 (HRH2030) program builds on USAID’s broader investments to improve health systems by contributing to the sustained availability, accessibility, acceptability, and quality of the health workforce. The program aligns with the approaches that support the USAID and the United States Government (USG) strategies for achieving the global health goals of ending preventable child and maternal deaths, achieving the control of the HIV/AIDS epidemic, protecting communities from infectious diseases, and contributing to the Global Health Security Agenda. 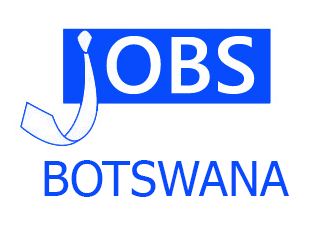 The Administrative and Finance Assistant (AFA) will work as part of the Finance and Administration team in the Botswana HRH2030 project office, supporting the URC Country Representative in all administrative matters as they concern URC’s Botswana operations. Support the URC Country Representative in all aspects of managing the URC Botswana operations, in close coordination and collaboration with project counterparts at the URC home office and in the Chemonics Botswana office. Ensure smooth administrative operations in accordance with URC rules and regulations, in support of URC’s effective delivery of technical work under the HRH2030 project. Work and communicate closely with the assigned HQ-based administrative coordinator to support all administrative, HR, finance and budget-related processes through established mechanisms. Regularly communicate and liaise with URC HQ administrative and finance counterparts to ensure timely and effective follow up to management and audit observations and recommendations. Process payments and capture vouchers on relevant URC and project finance systems, and ensure correct and timely financial reporting to URC Headquarters and other requirements in accordance with URC finance management set rules. Contribute to adequate oversight and guidance on finance and budget-related processes of the URC country office in Botswana according to all relevant rules and procedures. Prepare all paperwork related to the timely processing of the URC Botswana staff payroll, as well as the payment of URC Botswana consultancy invoices. Maintain URC Human Resource manuals to ensure compliance with URC policies and procedures, and all applicable Botswana laws, policies and customary labor practices. Assist the Country Representative and the HQ team in reviewing in-country HR policies, as and when changes in the Botswana labor laws occur. Fulfill any other related responsibilities as assigned by the Country Representative. Bachelor’s Degree in Business Administration, Finance, Accounting, or university degree in another field combined with a professional qualification in Accounting or Finance. At least 2 years of experience in different administrative areas, with a proven track record of providing reliable administrative and financial management support in a relevant environment. Numerate and adaptable to using accounting and finance administration software packages. High integrity, reliability and excellent interpersonal skills. Relevant IT skills including advanced skills in Microsoft Excel, Outlook, Word and PowerPoint. Experience working in a federal contracting environment. Specifically, experience working with US Government funded projects in an organization focused on international development. Please note: Only candidates who are eligible to work in Botswana for an indefinite period without a need for sponsorship will be considered for this position. You must attach your CV/Résumé and your Cover Letter where indicated. Also, please complete your application form and attach a completed USAID Form 1420 Contractor Employee Biographical Data Sheet as well. other/future opportunities, unless you direct us otherwise. Thank you very much for your interest.